A Learnership is a work-based education and training programme that is linked to a qualification registered on the National Qualifications Framework (NQF) with the South African Qualifications Authority (SAQA). Learnerships are occupationally directed programmes that consist of both structured theoretical learning and practical workplace experience. We are best known for our skills development solutions which we craft directly in accordance with customer requirements – often peculiar to customer high-end ICT technologies. Other initiatives are driven by the demands and unique requirements of the ICT sector and our customers in general. We offer training as an accredited provider, based on a defined and industry approved curriculum. Skills are developed through practical and theoretical learning initiatives designed to present learners with real life work place scenarios. We share knowledge and theoretical skills in this learnership, in vendor-neutral terms and it is the responsibility of our students to learn and practise these skills wherever possible. 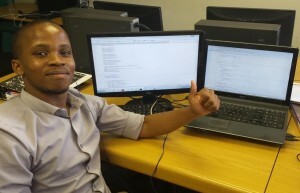 Velisa Africa is an accredited MICT SETA training provider. We provide education and training in-line with the ETQA /SAQA /QCTO criteria. We have registered Assessors for specified unit standards and/ qualifications who facilitate and evaluate assessments.